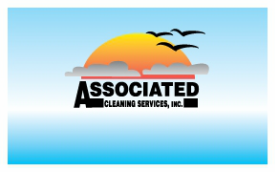 Why ACS - Associated Cleaning Services, Inc.
ACS offers a wide range of services, such as a large corporation; but with the loyalty and commitment of a local vendor. Below is a list of items that sets ACS apart from many others. Does your company support supplier diversity? Hiring ACS, a Service Disabled Veteran Owned Small Business, qualifies as supporting supplier diversity. ACS uses a time and attendance software which helps in tracking ACS staff that enters and exits your facilities and helps ensure service and quality. With a simple call, our customers can get reports on who entered and exited their facilities and at what time down to the minute. This system also calls management staff if an ACS employee does not show up on time, helping ensure you always show up to a clean building. We use quality Chemicals for a quality cleaning. Some companies will use cheap products which can lead to poor cleaning, they may have non-disinfecting qualities and they may damage your furnishings. ACS also provides a line of Green Seal approved products and Hospital grade disinfectants; let us know if there is a specific line you would like to be on. If you have no preference, ACS will use a combination we feel provides the best in quality while being as Green as possible. Our Equipment comes in two forms. Our Economical quality line provides excellent cleaning for your standard environment at a price that can fit every budget. Our Top of the line equipment provides a higher level of clean, the same level needed in a hospital environment. ACS is in the process of changing all of its equipment to the top of the line field but with a sticker price of $700 per vacuum alone it is likely to be a five year transition. Training and supervision is paramount to our success. Our training is done by using all three methods of reading, seeing and doing. We pride ourselves on our efforts to know as much about your facilities as you which is why all management tries to work every account at least once, we want to know what you know. We work tirelessly to provide regular supervision on our facilities to keep our team on top of their game and are currently working to increase our supervisor staff to provide even better service. We know Screening is important to you and it's important to us. All our staff is background screened through the Oregon State Police. ACS also does drug screening and has a strict policy against the use of illegal drugs and improper use of prescribed drugs and alcohol. ACS puts Security at the top. Not all of us can afford to buy systems to prevent human error so we continually work with our staff on the importance of security and the steps to take to provide it. One step we take is to post all employee photos on our page that current customers can see to verify anyone representing ACS does in fact work for ACS. It is also a nice way to remember what your service provider looks like and their name in case you want to leave them a thank you card. Support is a continuous effort at ACS. We provide bi-weekly updates to all of our staff on all aspects of our business. With continual communication, we all grow to maximize our potential. Our staff has more experience than you may expect. Medical management, construction, military, college, and industry specialty schooling. Community: Did you know ACS employs many disabled vets, single parents, senior citizens... ACS also donates time, resources and funds to community and veterans' programs. ACS carries $5,000,000.00 in Insurance. Many companies may be under insured which leaves you at risk. ACS is also fully insured in workers compensation which if your vendor is not, it can fall back on you to provide. Updated certificates of insurance and W9's are also posted on our customer page. History is a proven testament to a company's abilities. ACS has 40 years of providing good honest service. Our growth has been from years of word of mouth advertising which only comes by providing the quality customers expect. ACS has a history of working with its customers and staff which is why ACS has grown to be your local leader in service. 24/7 emergency response. We know you cannot plan when things will happen which is why we are always here to help with fast response times. Staffing is important, just because your janitor is sick or on vacation, does not mean your cleaning can take a day off. ACS maintains a staff size to ensure the show goes on. ACS is registered to do business with the city and state, you might be surprised to find out many businesses who are not. What else sets ACS apart and above others, you owe it to yourself to find out. If you're worried about what to look for in a contract or vendor, then see our Look Out page for tips.